September marks one year of starting my blog. I have learned so much and still have so much to learn, but I must say this last year has been wonderful. I have "met" so many amazing people. Through writing and reading blogs I have really figured out a lot about what I like. Style when it comes to fashion, food and home decor have always been important to me, but through blogs I think I have defined my true style. One thing that maybe surprised me is that I have defined my style to fit one word and that is simplicity. To mark my one year anniversary I would like to do my first give away. Through blogs I have fallen in love with the company Glassybaby Forever. I love the story behind them and adore having them in my home. So I'm giving away a Glassybaby called appropriately "Gratitude" to one of my readers. Thank you for reading l o v e l y t h i n g s and for your comments and encouragement. A winner will be selected through random.org on October 16th. Remember to check back on Monday to see if you've won. To enter you must be a follower. Leave a comment here and tell me which Glassybaby is your favorite. To receive an extra entry, please mention this giveaway on your blog. Thank you from the bottom of my heart. Congratulations!! I do enjoy your blog! It's such fun to see what a New England girl does on the West Coast!! And..... I love love love Glassbabys!!!! They make me so happy. I do hope I am lucky enough to win! My favorite glassybaby is Heart. I think I remember you mentioning these before, but I never actually went to the site until now. Wow. They're like little jewels. I had a lot of trouble picking a favorite because I love color, and I just got lost clicking on each one and loving it better than the last. So I'll go with one that caught my eye at first...Hide and Seek. These are really lovely, just like your blog...<3 Congrats on your 1 year blogiversary! Oh gratitude is a lovely shade of green and green is my favourite colour! I spent a long time on Glassybaby and cannot believe how difficult it was to pick one...I love Lady Di as it is such a brilliant blue, just like her sapphire engagement ring. What a lovely way to celebrate your anniversary. I have a giveaway on right now too. What a wonderful giveaway! I have been following for a while now, and I so admire your style. 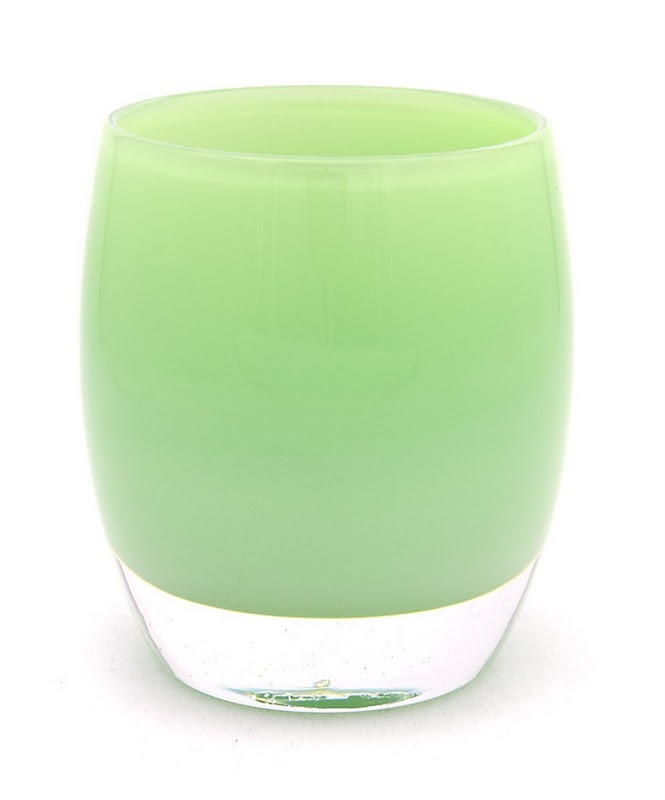 I checked out Glassybaby, and it was tough to choose, so many beautiful colours. I would have to say "aquamarine" is my favourite as I like the colours of the ocean. I'll mention this giveaway on my blog (I'll post a 2nd comment when I do so!). Annie, Congratulations on your 1 year blog anniversary. I always tell Lynn how much I enjoy reading your post. I do not think I have a favorite glassybaby. I have given a few for gifts, baby and grateful. I just bought one for myself. Annie, congratulations on your 1 year anniversary of blogging. I always enjoy reading your post. I have given a few glassybabies as gifts. I just recently bought one for myself and had a really hard time deciding. Happy anniversary to you and your lovely blog! I'm so glad to have "met" you! congratulations on your one yr anniversary. boy that was quick! i am so glad you started blogging b/c i got to meet you. every once in awhile i connect with certain bloggers and you have been one of them. you are a sweet, thoughtful and seriously stylish blogger. love to you on your first year. Annie, only a year? I haven't follower you that long but your blog is always so beautifully photographed and well put together i thought you were a more "mature" blogger". happy anniversary and I'm all for Jane's Caramel. Wow! Thanks for introducing me to Glassybaby! i can't believe I had never heard of them before. oooh, very pretty. I love Hudson! and your blog! What a lovely giveaway and happy blog anniversary! I love glassybaby and often visit their store by my home. I have bought countless for gifts and everyone goes crazy for them. I'm thinking about getting a few in pumpkin for my Thanksgiving table. Happy one-year Anniversary! I have loved reading your blog this past year! My favorite color is green BTW and I love glassybaby candles! I am a brand new follower. Love the story behind Glassbaby! There were so many colors that it hard to choose just one. I think that Arthur and Wingman are my two favorite colors. Congratulations Annie! What a thoughtful giveaway. I love Glassybaby, and being from Seattle, they've always been a special item to share with others by giving them as gifts...funny thing is, I've never 'given' one to myself! So silly...I suppose it's because I'm always waiting until we're settled to purchase more house stuff. One day though, I'd love to have a few around, their story is so amazing, and to think, Lee now blows glass after haivng lung cancer...it's truly inspiring! happy anniversary! what a wonderful giveaway...kelly and gratitude are my faves. hope i win! ps. i hadn't seen harpers room yet on that blog, so thanks very much for the heads up! thanks for your comment at my blog on the joya studio! I so agree with you. I love their work. Happy Blog Anniversary, Annie! I love being connected to you in this way! My favorite Glassybaby is Creme Brulee...be well, talk soon! Congratulations on your Blog Anniversary! I always enjoy reading your posts and seeing your exquisite taste. All of the glassybabies are pretty, but I think Cashmere is my favorite. My favorite is the Seattle Sunset glass baby. Just became a follower and also on pininterest. Love the mint! The white is pretty too. Follower. Thanks for stoping by ;). Annie, I love your blog and your style. Happy Blog Anniversary!!! Annie: I LOVE your blog and I LOVE glassybaby! Hi annie, just wanted to let you know I posted about your giveaway event on my blog (end of this post here). Thanks!! Cashmere would be so pretty in my almost finished master bedroom. I love your blog, and I love the grass glassybaby. Thanks! Happy one year! It's been fun getting to know you through your blog. The glassy baby's are all great. I love the drinker cups and I think my favorite ase is in the sea foam.